raise $7,000.00 – the amount it takes to build/digg one shallow well in Africa. in 8 people worldwide do not have access to safe and clean drinking water. a billion, 884 million people do not have access to clean and safe water. 37% of those people live in Sub-Saharan Africa. have access to water and sanitation facilities. 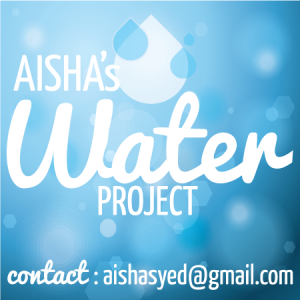 08/30/12 Anonymous Donor $500.00 You rock Aisha!